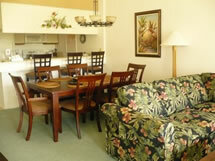 Island Impressions offers a complete design service to assist clients with their particular plans. We can serve as a design consulting firm, select and provide any type of interior product needed, or design and coordinate entire interior projects. Our team of professionals are experts in their field and dedicated to providing quality and value. Many of us have worked on projects together for over 15 years. Our team, lead by designer Pamela Neff, includes general contractors, sources for stone, tile, hardwoods, lighting, fixtures and appliances, carpet and installers, furniture refinishers, a custom bedspread, drapery and upholstery division, sources for furniture and accessories, and lastly technicians to deliver and install. From one room to a whole condominium, home, or office, Island Impressions can provide clients with ideas, products, and the team to accomplish their project professionally, efficiently, and at a fair price! All photos in this website are actual projects that were designed and coordinated by Island Impressions.